During the last months I and Alberto worked in several projects using Analysis Services Tabular and we had to face real world issues, such as complex queries, large data volume, frequent data updates and so on. 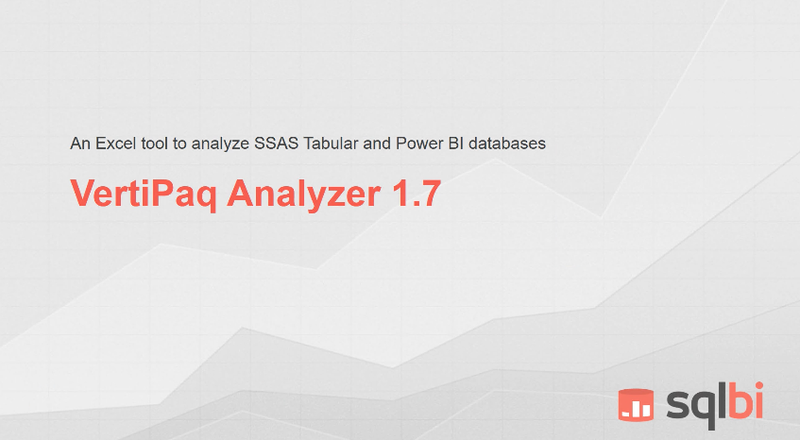 Sometime we faced the challenge of comparing Tabular performance with SQL Server. It seemed a non-sense, because even if the same core xVelocity technology is implemented in both products (SQL Server 2012 uses ColumnStore indexes, whereas Analysis Services 2012 uses VertiPaq), we initially assumed that the better optimization for the in-memory engine used by Analysis Services would have been always better than SQL Server. Processing time might be different and having data on SQL Server could make ColumnStore way faster for processing. Partitioning in SQL Server might be much more effective for query performance than Analysis Services. A single query can scale easily on more processor on SQL Server, whereas in Analysis Services the formula engine is single-threaded and could be a bottleneck for certain queries. As you can see, these considerations are not always obvious and you might be tempted to make other assumptions based on these information. Well, don’t do that. Before anything else, read the whitepaper VertiPaq vs ColumnStore Comparison written by Alberto Ferrari. Then, measure your workload. Finally, make some conclusion. But don’t make too many assumptions. You might be wrong, as we did at the beginning of this journey.